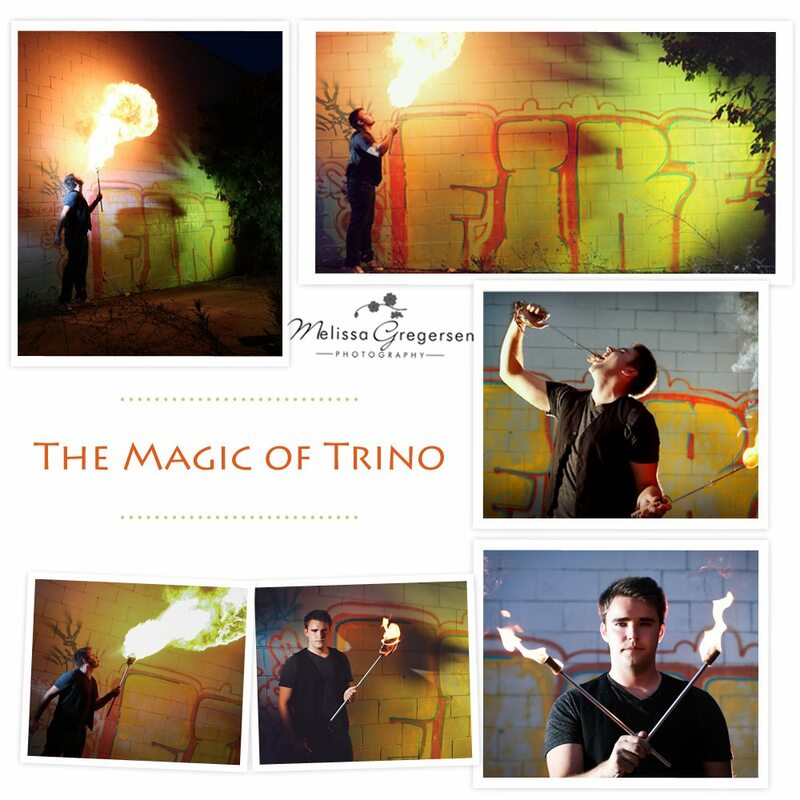 My assistant, Leigh, has been asking me for a while to take some photographs of her son, Trino playing with fire. I started to think about how I would do it and saw some photos of him on facebook doing it and realized this kid was good and it really got me excited about it. One day I was driving around, and spotted this wall with graffiti on it and it said FIRE…..perfect spot!!!! 🙂 Honestly, I have never photographed anyone doing this and was quite surprised at how much fire was produced! We had to be careful he did not catch the tree on fire! For this set up it was just before dusk out, and I used two external flashes to add some drama to the image. I even added some color gels to make it more interesting….and then I let Trino do his thing and this is what we got below!